Just as we were lamenting the fact that the 'best' Illinois Republicans can do is to drum up a visit from Ted Cruz, we were sent this invitation on an event Congressman Adam Kinzinger is having with Senator John McCain. This is great! Love to see Senator McCain out there supporting candidates and with their shared military background, this is a perfect fit for Kinzinger. We'd love to see more of this stuff and we think the 'bench' of GOP stars needs to get deeper. And...deeper with the types of leaders that really draw independent voters out and rally the bulk of the Republican base. 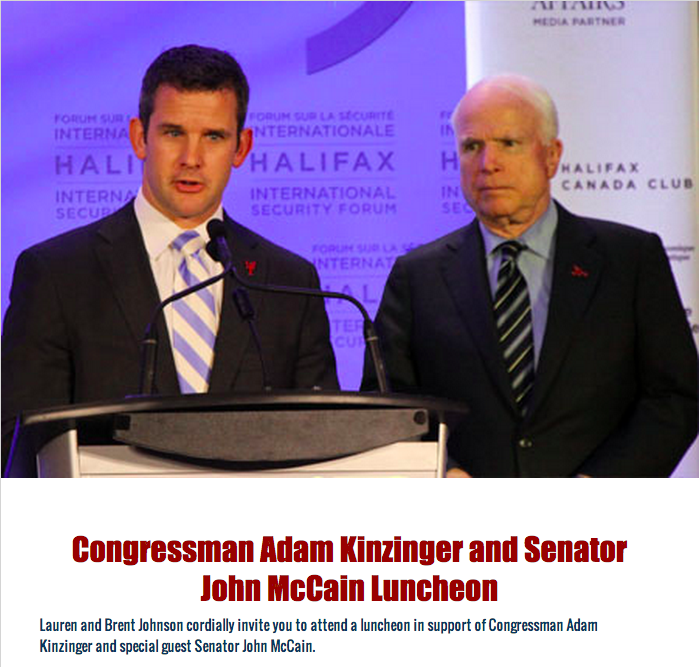 Want to attend the Kinzinger/McCain event? You can RSVP here.